In a matter of moments you can create a USA card for your favorite athlete and team utilizing our free USA card templates. All you need is a picture, the team name, athlete's name and our template. Well that, and some thicker paper for your printer would be nice. We lay it all out in a few simple steps to create the sports card. 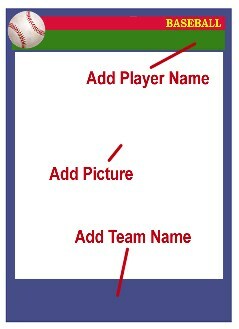 If you are doing this for an entire team, we have a USA card template made for an entire team (or at least 9 at a time)! 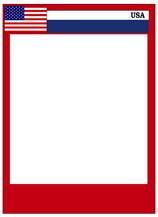 Step 2 - Customize USA Card Template and Print! Once you have successfully opened your USA card template into Adobe Acrobat, you can add your picture by clicking in the center of the USA card. 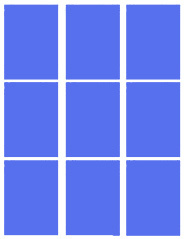 Note that we recommend you crop (cut off) the top or bottom 20% of the average picture so that the picture doesn't get stretched. 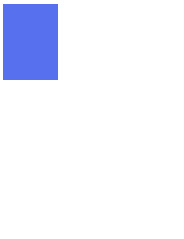 The average picture is 1.3 times longer than it is wide. The picture portion of these card templates are only 1.1 times longer than their width. If you have selected the Team USA Card Configuration template from above you will need to do this for each and ever card prior to printing. If you don't use a couple of the cards, they will print anyway, but it still saves paper and is worth doing. Now that your configuration is ready to go, find the thickest paper (also called "board") your printer can handle. You may wish to consult your local paper supply store. Many of them have a thick glossy board, or a "specialty board" that can make some very cool USA cards utilizing these templates. 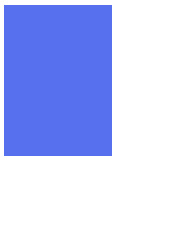 Note: Remember that you can't save changes to your USA field layout in Adobe unless you have Acrobat Professional. So you will want to setup the diagram and then print copies when complete.